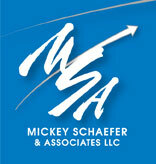 MSA offers a unique approach to the traditional Customer Advisory Board. One of the best things a company or organization can do is to “walk in the shoes” of its customers. This involves engaging the customer in a way that provides valuable information which can help drive your vision, positioning, and sales/marketing strategies. The advisory board is designed a means to achieve the mission of the client through gaining knowledge of customer perceptions, wants, and needs that can be transformed into innovative marketing and positioning strategies. Through her direct, hands-on facilitation, Mickey Schaefer combines her industry leadership and knowledge of industry issues with her graduate education in marketing and her experience in market research and marketing strategies. Each advisory board is highly customized to fit the changing needs of the client.